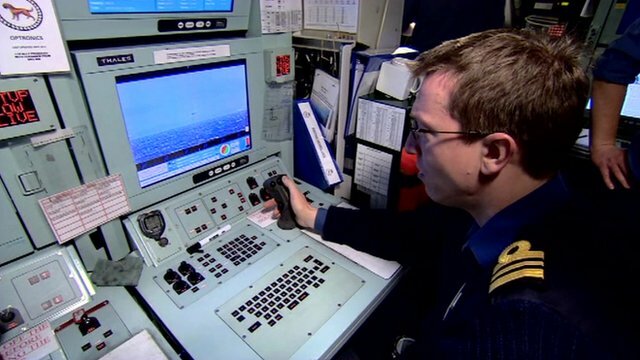 Unlike most submarines HMS Astute does not have a traditional periscope, but uses a mast fitted with cameras that can record and analyse what is on the surface. HMS Astute will continue her trials in the U.S. until the early spring before returning to the UK for training before her first operational deployment. The submarine was launched in 2008 by Camilla, Duchess of Cornwall after first being ordered in March 1997. Following a successful series of early tests, she first hit the headlines when the sub 'ran into difficulties' off the Isle of Skye on October 22, 2010. The vessel was eventually refloated and sustained minor damage. The captain of Astute, Commander Andy Coles was later relived of his duties but did not face a court martial. The most serious incident to take place on the submarine occurred six months later during an official visit of Southampton's council leaders. Able Seaman Ryan Donavan opened fire with a rifle in a control room, hitting two officers before he was overpowered. Lieutenant Commander Ian Molyneux died in the incident, with Donavan later convicted of one charge of murder and three counts of attempted murder. He received a life sentence and will serve a minimum of 25 years.